News for QUIET COWBOY and the New Year! As 2010 draws to a close, I’ve been running the gauntlet that is theatre-life. With the new year comes new experiences – in my case the premiere of Quiet Cowboy at the Mellow in Scranton, and all of the attention surrounding it, has taken up most of my time. I have a nice behind-the-scenes and technical theatre post to release shortly, so stay tuned for that (it’s always fun to see the theatre “magic” happen, but it’s even more fun to be a part of the very team of conjurers that can change an evening for an audience, and possibly more). With that said, here are a few of the recent articles, mentions, or conversations I’ve been having about the production and what it took to write and work with the script. I hope you enjoy them. See you in 2011 – why not make a resolution to contribute to art (of ALL kinds, genres, mediums, etc.) EVEN MORE than you already do? – WVIA FM personality Erika Funke is far more that just another talking head. Her enthusiasm behind the microphone is infectious and endearing, her support for the Northeast PA arts community is legendary, and to top it all off she mixes in some beautiful music in this tremendous 25 minute interview for her series, entitled ArtScene. 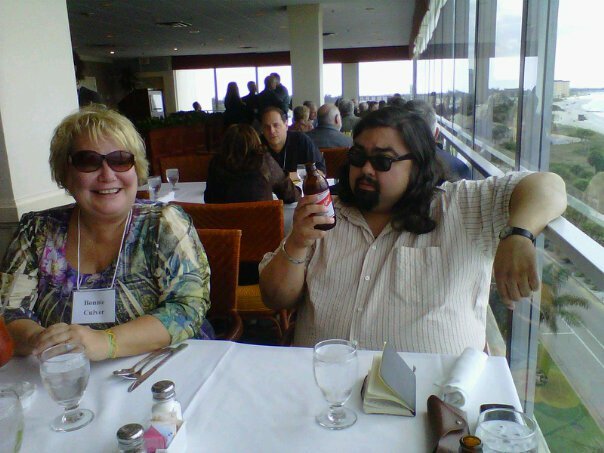 Click one of these links (or on the picture of Anne) to hear the conversation with QC director David Reynolds and myself. Later, she gave us a tour of the studio and graciously showed us all of the A/V equipment in the WVIA studios – she even showed us a board that was once used on the set of the original American Bandstand! I couldn’t be more grateful to Erika for her time, energy, and care in putting together an impressive series and making me feel welcome. – Fellow writer and Wilkes CW Program graduate Amye Archer interviewed me for HER blog, the quite necessary “First Person“. Her questions were great – she asked me about my childhood antics, the play, and even prodded me about Oprah. While I don’t appear on the cover of “O” every month, perhaps I’ll have my own magazine someday. But what to call it? Anyway, click HERE, and enjoy the Q&A. – And, of course, I would be remiss in my duty to make this post without thanking yet another talented and insightful writer, Alicia Grega, who interviewed David and I before one of our full run-through rehearsals. The article appeared in the recent issue of Diamond City, Wilkes-Barre’s “What’s happenin’?” rag. The interview is avaiable online, for all you digi-readers. Alicia also took a few photos – some of which appear here – and was kind enough to sail them my way for the archives. That’s all for now folks. Keep your eyes peeled for a Times Leader article by theatre columnist Mary Therese Biebel, and “watch the ridge” when riding into the frontier of 2011 (and beyond)! Good friend and scriptwriter extraordinare, William Prystauk is involved in a great Canadian 1-page screenplay contest. I’m including the link below, and asking that you vote for your favorite. His script, “Catalyst” has a chance at production if it gets the most votes – but, as Bill instructs in a recent letter, by all means vote for the “better” script (the one you like the most). THE POLLS CLOSE TOMORROW! Here’s the link … don’t be hoser; pass is around, eh? Jim and I got off the plane and out of the SRQ airport, and were thrust into the unfamiliar world of Sarasota in November. That was the only word we muster, anyway – “November … November” – we said it over and over again, staring at palm and palmetto. 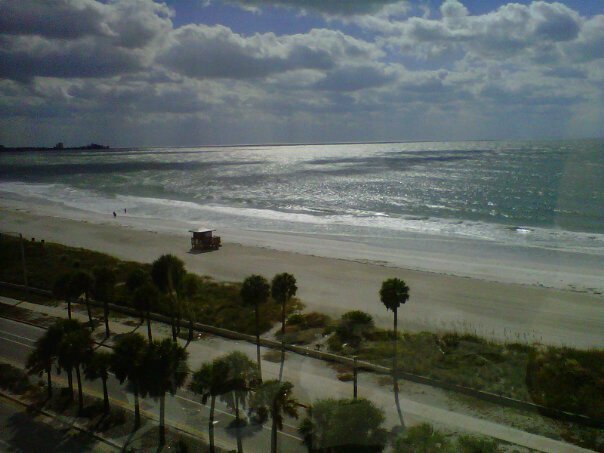 It was 86 degrees and we had arrived at the Norman Mailer conference – four days of warm weather and navigating panel discussions was ahead, and we had never seen Sarasota, Florida. Naturally, we went downtown at the first opportunity – we were among the first to arrive – and what do two book-hounds like us do? We find a bookstore, of course. A. Parker’s Books/Book Bazaar was once two stores that pooled their resources to become one mega-mom-and-pop right off of Main St. in the downtown. Upon first look, it was a simple, welcoming single storefront entrance among a line of others, but once we stepped inside, it was clear that were had been thrust into a truly independent retailer. 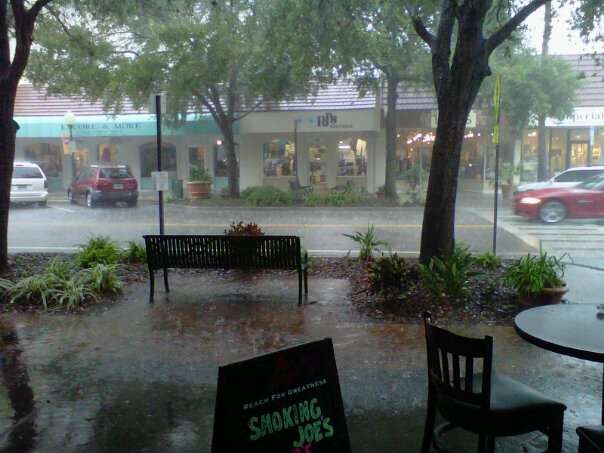 As sudden thunderstorms raged outside, Jim navigated the poetry section. 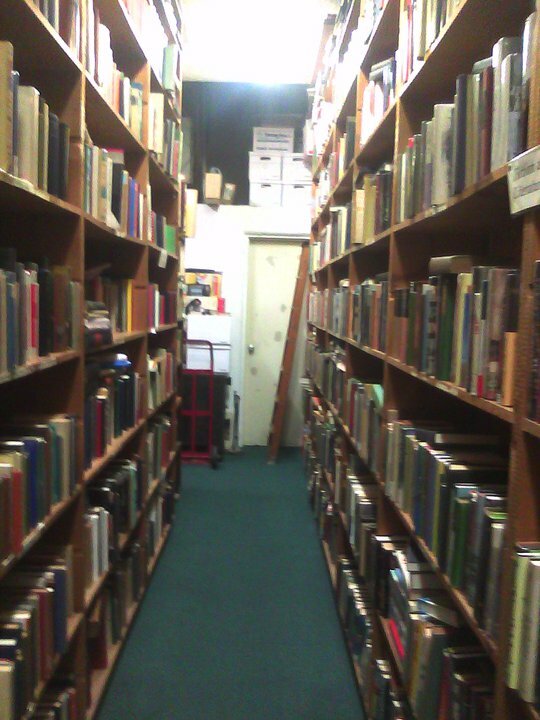 Meanwhile, I was lost amidst bargains on Gardner, Proust, Miller, and yes, Chandler. But of course, I also found material to feed the subjects that line the floor of my subconscious (including a rare-find – a book by Chautauqua favorite and infamous fraud, Grey Owl – the acclaimed “Canadian/Native American” bestselling author who, after his death, was discovered to be a complete British imposter). Yes, Bazaar had it all – from $1-2 mass markets to a room of what I call “don’t touch that’s”. 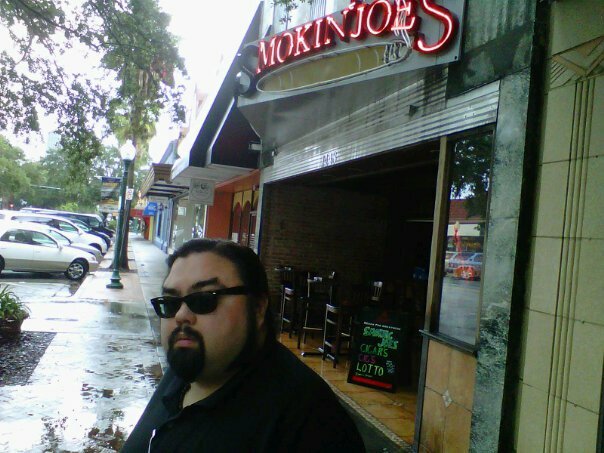 Sunny Sarasota. This didn't last longer than the first full day. Jim Warner outside of cigar bar, post-bookhunt. **CORRECTION (because, yes, I admit my wrongs): Ernest Hemingway’s speech, mentioned in the video, was actually for winning the Nobel, NOT the Pulitzer. It bears mentioning Ken’s play is fantastic – it was taped using four cameras during a live presentation (the connection between Jordan Rhodes– the actor playing Hemingway – and the audience is palpable) – and copies are available for purchase here. If you use twenty bucks to support some great art this year, or if you know a Hemingway fan, I recommend “Papa”. John Hemingway (grandson to Ernest, son of Gregory, and author of Strange Tribe – about growing up a “Hemingway”) gave a speech the next day, and of course attended the screening. He was a nice fellow, and offered up some hereto unknown (by me, at least) stories on the conflicts of a “macho” legacy and his family. But I didn’t just go to the Mailer conference (suffering a four-hour layover in Charlotte, cancelling a small number of classes, etc.) to listen to scholarly talk about an existential hipster (A man who, in my estimation, would probably just as soon climb a mountain or parachute out of a plane or go sailing than discuss his theories on getting “out there” and “experiencing!” for four days, even if we enjoy talking about his work for that long). My attendance this year was as a presenter/actor/editor for the Wilkes CW program Reader’s Theatre. 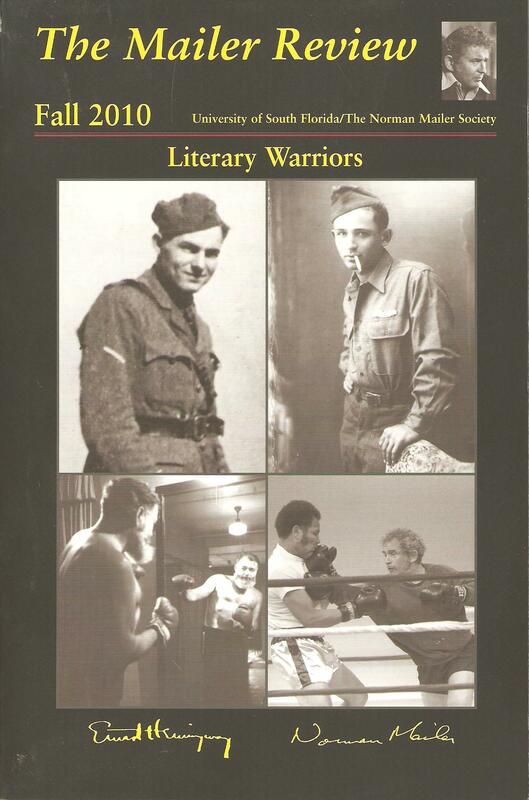 A conference favorite (see my post about last year’s conference in Washington), the Reader’s Theatre presented the voices of both Mailer and Hemingway as they mused on four fully-charged topics: Writing, Boxing, Bullfighting, and Women. The section “On Bullfighting” will be available soon, with the preface that we edited, layered, intertwined the writings of both men to try to convey a dramatic sort of conversation – a conversation which, sadly, never occurred (ever, as, again sadly, the two writers never met) but is fun to think about nonetheless. Ross Klavan’s perfect Chicago accent made him a shoe-in actor to portray Hemingway. Norman’s youngest son, John Buffalo Mailer, was in the audience, as was John Hemingway and most (if not all) of the conference-goers. Our presentation and questions came close to an hour total. And what kind of scholar would I be if I couldn’t recommend the texts that we used to sculpt the presentation in its entirety? After the festivities of the conference (we had a nice dinner and cocktail hour), John Buffalo asked me for a copy of the script. In my enthusiasm for the material, I simply handed him mine – a difficult task, if only because it required properly organizing it all again (*all of the pages were caught up in the Gulf Coast breezes and flurried around John Buffalo while he was on the phone; he helped me gather all of the strays, which made their way into brambles, bushes, and almost-swampland, and was gracious enough to let me find their “order” again). In all, the conference was a great success. We concluded by a discussion with John Buffalo Mailer (a closing conversation on the joint book with his father, entitled The Big Empty, and even touching on what Norman would have made of the recent political game and election – remember, the midterms were a mere two days before the conference), and I hope that the crowd of scholars took home a feeling for how one can present an accessible Mailer to a younger audience. I look forward to next year’s Mailer conference, to be held in Austin, Texas – the subject: Mailer and (who else?) James Jones. The Jonesians (James Jones Society) will be there. Let’s hope we can give them a good show, as well. Confidante and colleague David Reynolds is, by his own declaration, a “theatre machine.” In the past few weeks he has been involved in productions meetings, rehearsals, table work, and design presentations for not one, but TWO of my plays. 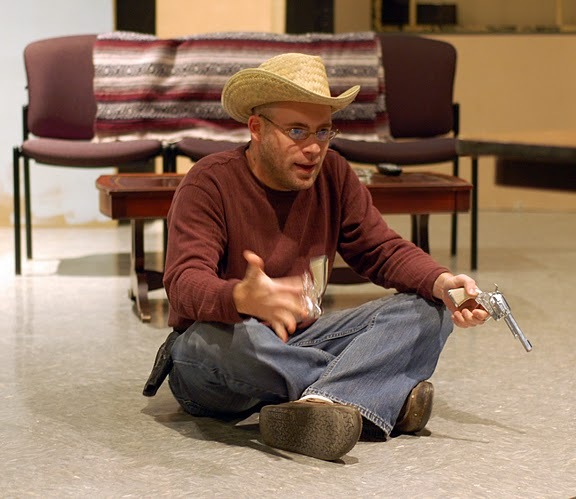 Quiet Cowboy, my full-length play slated for production at Scranton’s Mellow Theatre in January, is one of them. The other will be staged as part of the King’s College Brown Bag Theatre series as soon as next week (Dec. 6th & 8th @ 12:10 PM; Dec. 7th @ 12:45 PM) – it’s called “Linda Goes to Mars” – a one act that I’d written a few months ago about unrequited love, radio transmissions, and the power of music. In addition to his full time position at the King’s Theatre department, David is the director of both works (a fact that I am grateful for), and as a machine he is so finely tuned that the mechanisms of my writing are hidden altogether. This may not seem like a compliment, but I have long held the belief that theatre requires a scant two key ingredients: actor and audience. That is not to say that a script (or writing, for that matter) is obsolete, or the space, the lighting, or the set. 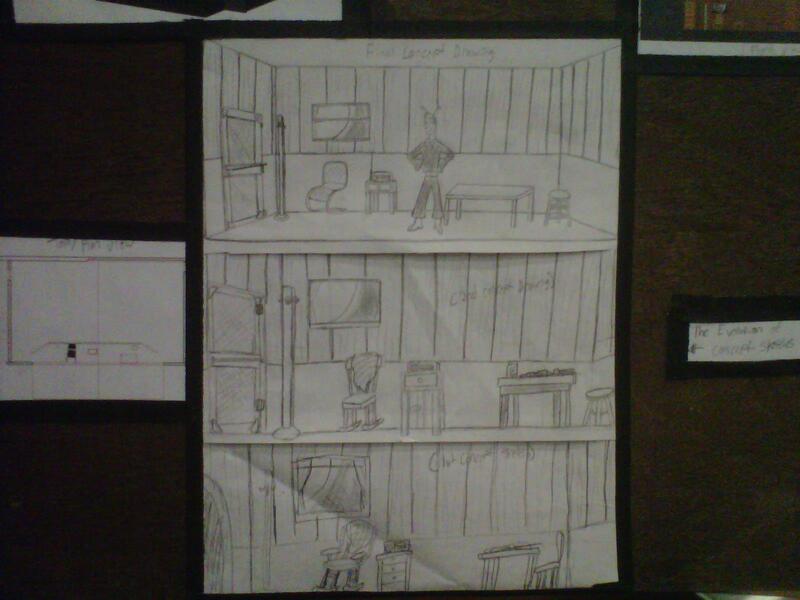 After all, David is a professional in technical theatre, amongst other things, and his tenacity with each script has been one of fine detail and with a keen eye on design (finding and presenting the “through lines” of a script when called for in set-design). The point I’m getting to is that David has the ability, through his many “roles”, to make the script “disappear” – to give the illusion that the drama unfolding before the audience is fresh with each production. Most recently, I’ve found his noble direction taking root in the classroom. A few weeks ago I was privileged enough to get out of work a few minutes early and hustle over to the King’s Theatre to take part in the auditions for “Linda Goes to Mars.” David asked me to say a few words about the play (something a playwright should always be prepared to do) and we proceeded to take on all the brave young actors. In the end, we came up with a nice, excitable cast. Even more recently, I was invited back to campus, this time to witness (and vote on) presentations from a stage design class. 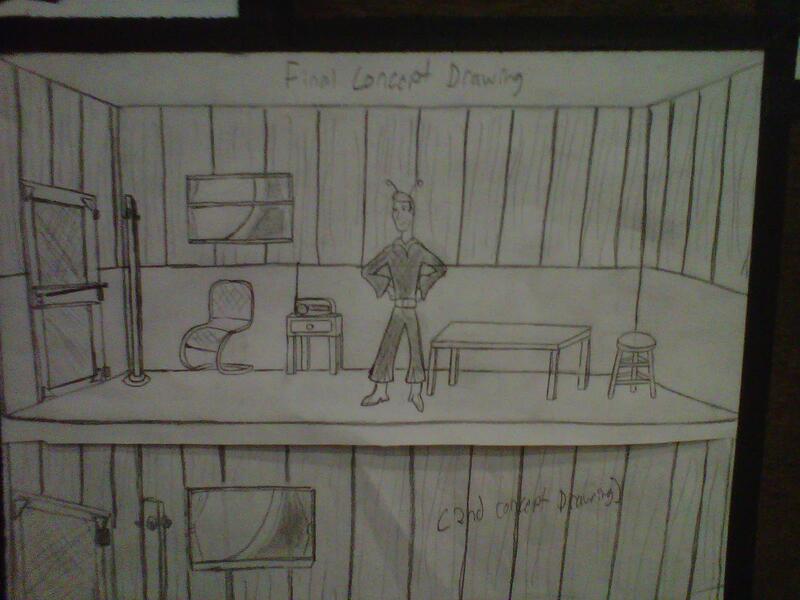 All six of David’s students did research, preliminary drawings, and final designs in Vectorworks for their design concepts for the set of “Linda.” All six presented their results on large boards, in color, pencil, and printout – explaining their choices and changes, usually with some textual accompaniment. They all had sound designs, each with something new and interesting being brought to the stage, and truth be told, when the time came to vote I was nearly catatonic. I was impressed. Ultimately, there had to be a winner. A young lad named Lukas Tomasacci took the honor by majority; I’ve included some photos of his board below. A close up shot of the design progress - The first attempt sits below, and the final at the very top! 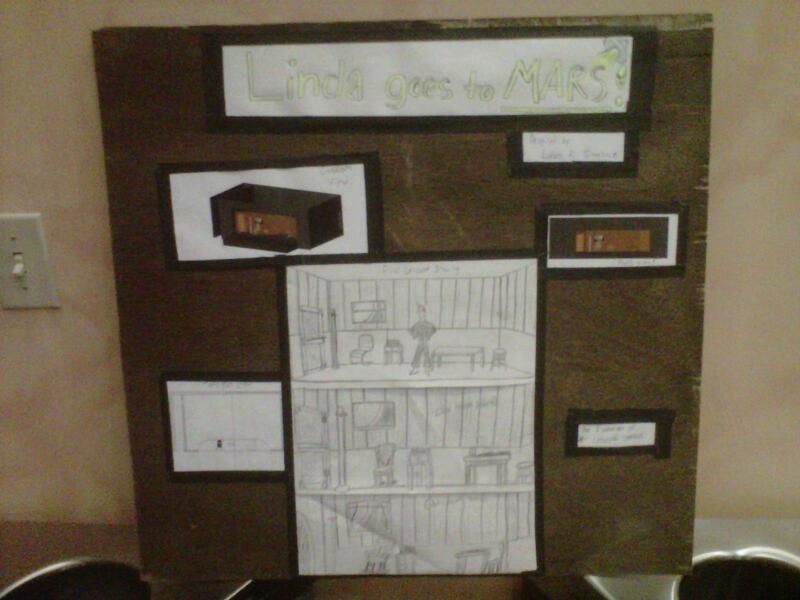 And so “Linda Goes to Mars” will be presented next week! Scheduled for midday showtimes at the King’s College Theatre (back of the administration building, y’know the one – it’s got the giant Jesus on top of it), the series is meant for those workers in downtown Wilkes-Barre, who are bored on their lunch breaks. Admission is free, so if you happen to be around I highly recommend taking in a nice midday show; it’s a good break from the office, and you’ll want to catch this theatre machine before it runs its course. So come on out and show your support!